Taxes have the ability to financially cripple you. You can easily end up owing tens of thousands of dollars. Worse than that, you’re expected to pay it immediately. It’s no surprise that when Tax Day rolls around, many people don’t have the capability to pay what they owe right away. That debt can end up haunting you for many years to come, making it seem impossible to get above water. That’s why you have to find a way to get on top of it. There are a variety of arrangements you can make with the government to make paying it off more manageable. Only two things in life are a sure thing: taxes and death. 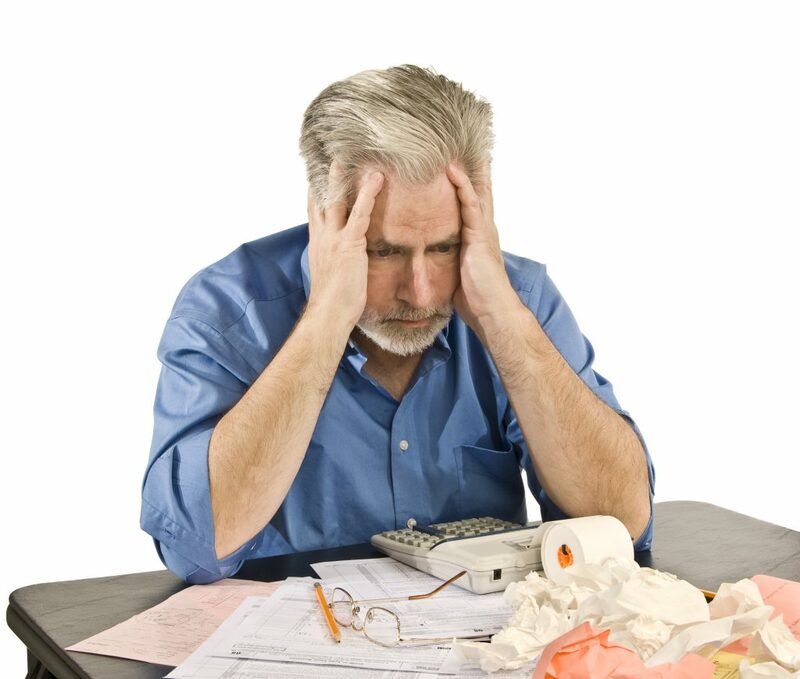 If you owe back taxes and expect to owe more this year, learn how to get out of tax debt here. An installment agreement will likely be your first option in paying off your debt. In this case, you will decide on a monthly minimum payment amount that you can afford. However, the minimum amount must be the total of what you owe divided by 36. You can choose to pay a higher minimum to get the debt relieved faster. It’s in your best interest to pay it off as soon as possible because the IRS will charge you interest. Every month at the same time, that amount will be pulled from your bank account. If you receive a tax refund in the future, the IRS will apply that money towards your debt. If you owe less than $10,000, the IRS will automatically agree to this arrangement. There are some stipulations, though. You have to have filed your taxes and paid on time over the last 5 years. If you owe more, you can still apply for an installment plan, but it may be harder to be approved. If you come into a chunk of money, paying your debt in a lump sum can be worthwhile. You or a tax professional can negotiate what you owe with the IRS. You can check out this website to learn more about choosing a company that can help. They might be able to lower the overall amount of what you owe or wipe out any penalty charges. It costs the IRS to hound you for your money. They’ll be willing to play ball if that means they can close your case. The IRS may be willing to accept an offer in compromise to lower the total of what you owe. They will agree to this if this is the only way they can get their money. To get an OIC, you or your tax person must submit an application. The application will try to prove that you’re suffering from financial hardship. If you’re approved, the IRS will routinely check on your finances to make sure your hardship status hasn’t changed. During an OIC application, you can try to seek out a penalty abatement. This just means the penalty fees you’ve been charged could be wiped out. That can reduce your tax debt considerably. This is somewhat similar to an OIC. In your application, you would be proving that you are suffering from financial hardship and that for you to pay this off, you would be below a reasonable standard for living. The difference between this and an OIC is that you are deferring your debt for a few years. The expectation is that when you get back on your feet, you will pay the agreed upon amount. This is a tough one to accomplish, but it has been done. After 10 years, the IRS can no longer collect on what you owe them. That means everything you owe will be completely wiped out. The IRS will try everything it can to collect before the 10 years. But a really clever tax professional might help you find a way to outrun it. What if your tax debt wasn’t your fault in the first place? This will take away your liability for paying back the debt. For bankruptcy, you can either file a Chapter 7 or a Chapter 13. Chapter 7 will wipe out all of your debts. A Chapter 13 will release some of your debt and apply a payment plan for the remaining debts. Though this sounds like an easy solution, filing for bankruptcy should be a last resort. For the next 7 years, your credit report will mention your bankruptcy. It will dramatically affect your credit score making it extremely difficult to rent an apartment, get a car loan, and more. In this case, the IRS will freeze your bank accounts and take everything until the debt is paid. That’s certainly one way to pay back your tax debts, but it is far from ideal. Once that money is taken out, you will never get it back. Before you ever get to this point, you should figure out any other arrangement you can. Instead of ignoring the IRS notices, take care of them before you realize you have no access to any of your money. That will be a lot more devastating to you than being in debt, no matter how much you owe. There’s no magic bullet regarding how to get out of tax debt. There are benefits and drawbacks to every option you have. In the end, it will take some planning and saving to finally settle your debts. Did you find this article helpful and want to read more like it? Then check out this blog to learn more about filing your taxes.